Model 1630 | Multi Products Company Inc.
Multi Products has designed and manufactured our model 1600AC actuator motors for the damper and ventilation industry for over 50 years. 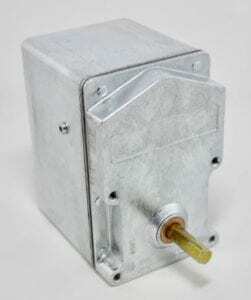 We offer this direct OEM replacement motor for various damper applications. This model 1600 version comes complete with totally enclosed dust cover and dual voltage. 3/16" ​Square with 1" long extension"